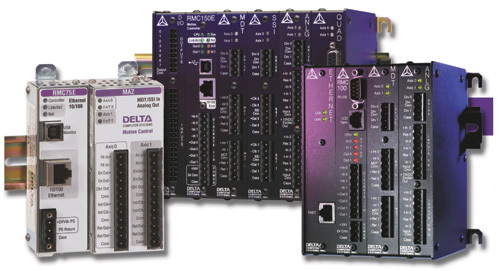 Computer Systems, Inc., Battle Ground, WA, introduces an enhanced version of the Plot Manager to its RMCTools software, used in the Delta RMC70 one- and two-axis and RMC150 multi-axis motion controllers. Plot Manager facilitates tuning and optimizing of machines by displaying graphs of target and actual values of motion-axis position, velocity, acceleration, pressure, force and other parameters. With the enhanced Plot Manager, plots open within Delta’s RMCTools environment, enabling a smoother development workflow. In addition, the interface has been simplified, making it easier to produce and inspect motion plots. Users can zoom in or out with the mouse wheel in captured-plot mode and in real-time trend mode. For traceability, reporting and comparison needs, plots can be saved or exported in different file types for use in Microsoft Excel and other programs.